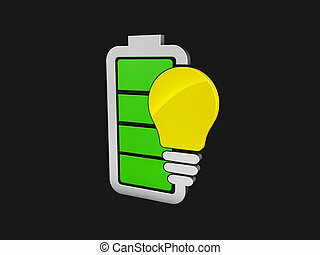 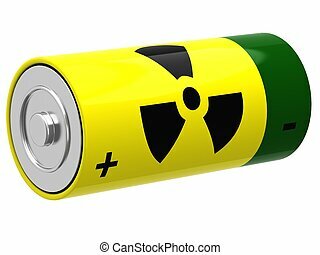 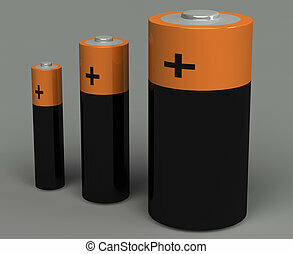 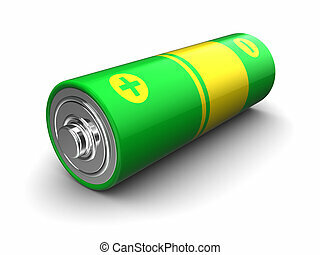 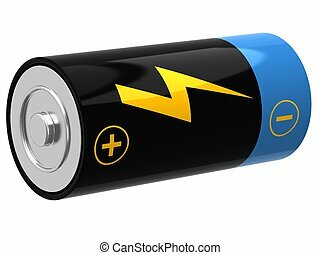 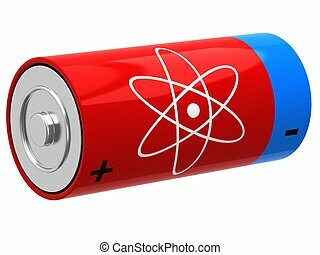 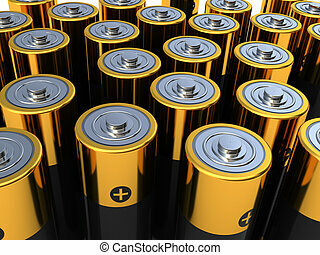 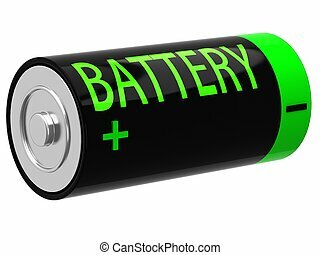 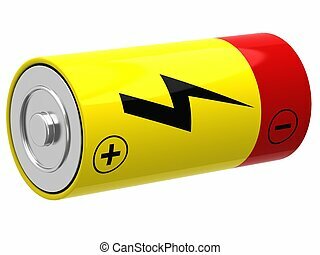 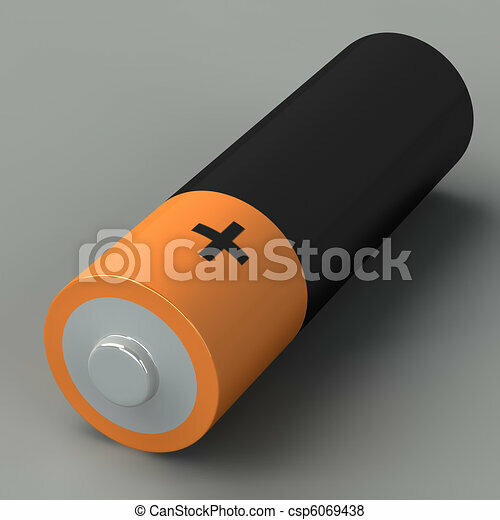 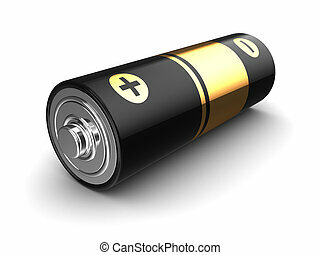 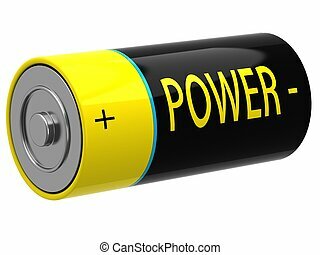 3d illustration of battery on the grey background. 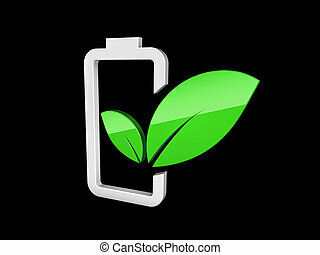 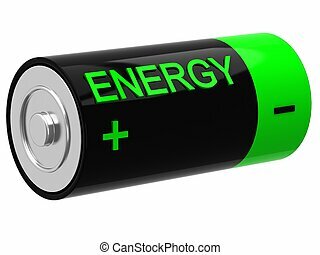 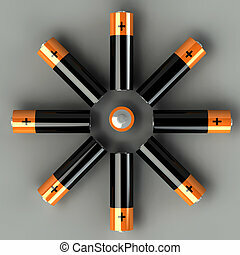 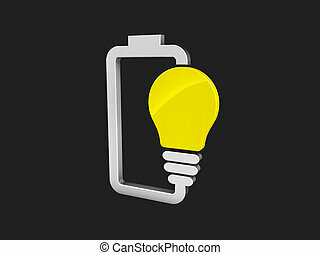 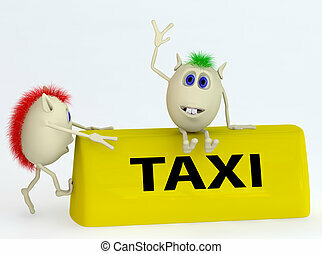 3d illustration of Battery with yellow lightbulb - eco energy concept. 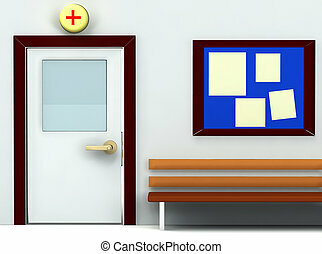 isolated black.